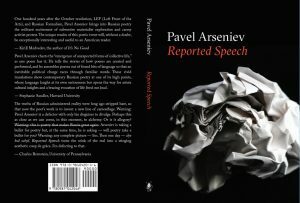 Reported Speech, a bi-lingual edition of Pavel Arseniev’s (Saint Petersburg) poetry with an introduction by Kevin M.F. Platt (University of Pennsylvania) will be released this fall and is now available for pre-order. Arseniev’s poetry provides a living link between the legacy of the 1920s Soviet avant-garde art­ and theory, on the one hand, and the modern Western materialist thought on the other. 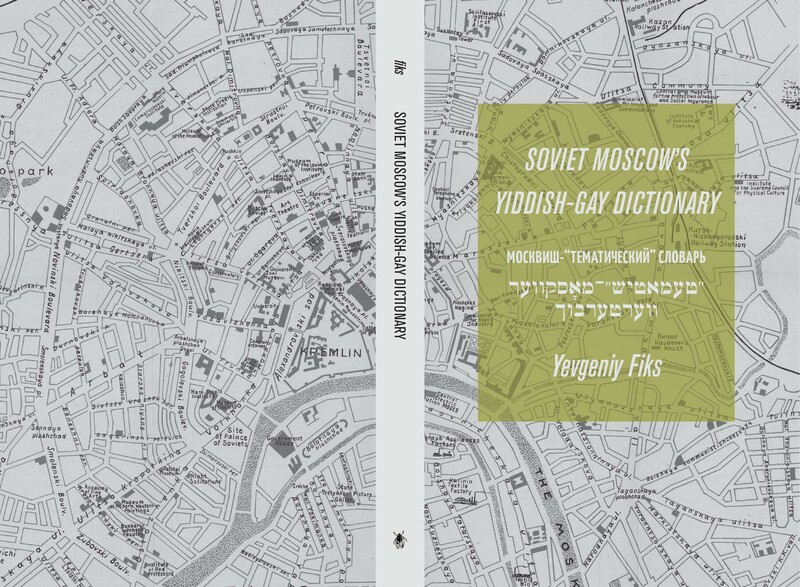 It traces how these influences become weaponized in the language of contemporary Russian protest culture. 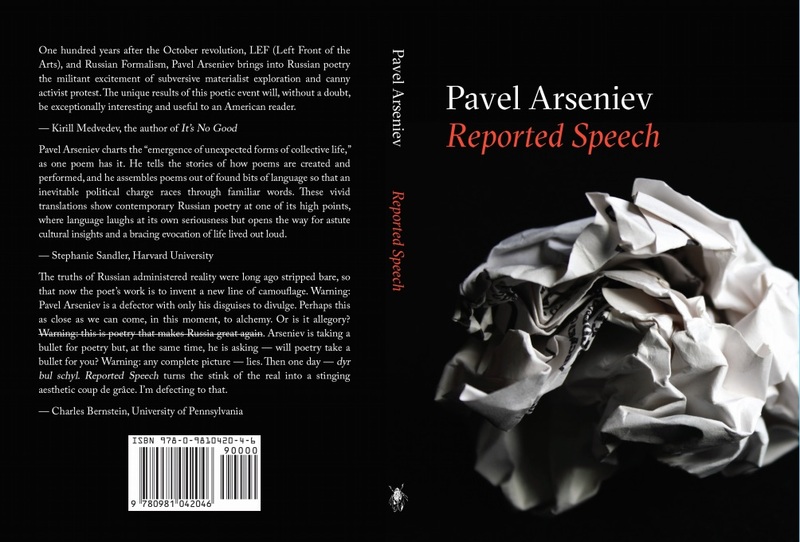 Arseniev readily politicizes all, even the most mundane facts of the poet’s life, while approaching reified bits of found speech and propaganda with lithe, at times corrosive, irony and lyricism. 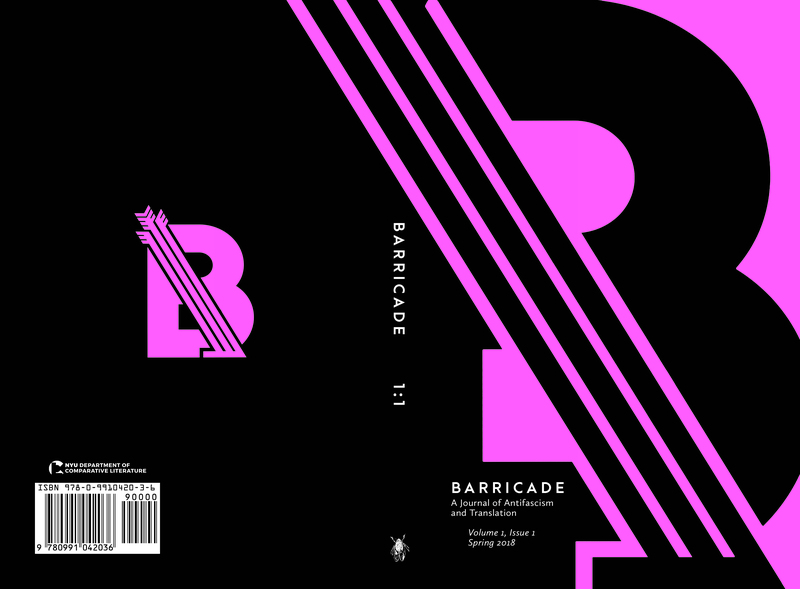 Barricade is a platform for international antifascist and anti-authoritarian literature. It is a direct response against the increasingly vocal forces of the populist, nationalistic, and chauvinist reaction, emboldened in the US by the election of Donald Trump. 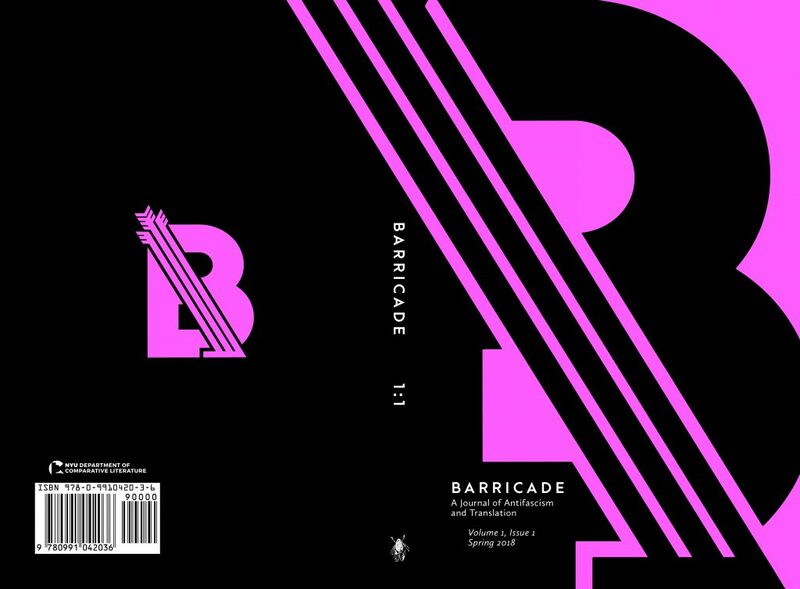 Barricade has an eye to the present, while seeking to establish manifold connections between antifascists across time and linguistic divides. It is dedicated both to the practice and theory of translation in the name of solidarity and the better world. 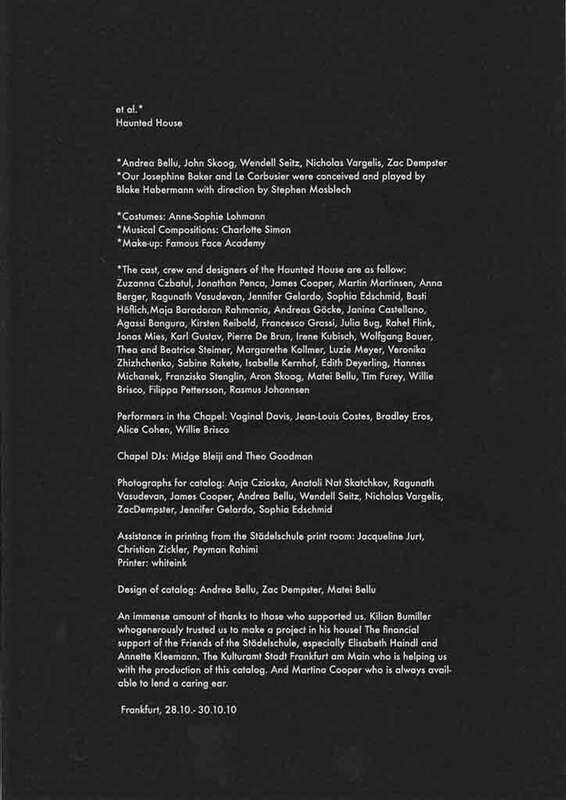 The inaugural edition features works translated into English for the first time by Walter Benjamin, Hisham Bustani, Georges Castera, Fruela Fernández, Werner Kofler, Jiři Kratochvil, and Yuriko Miyamoto, as well as an interview with Diane Rubenstein. 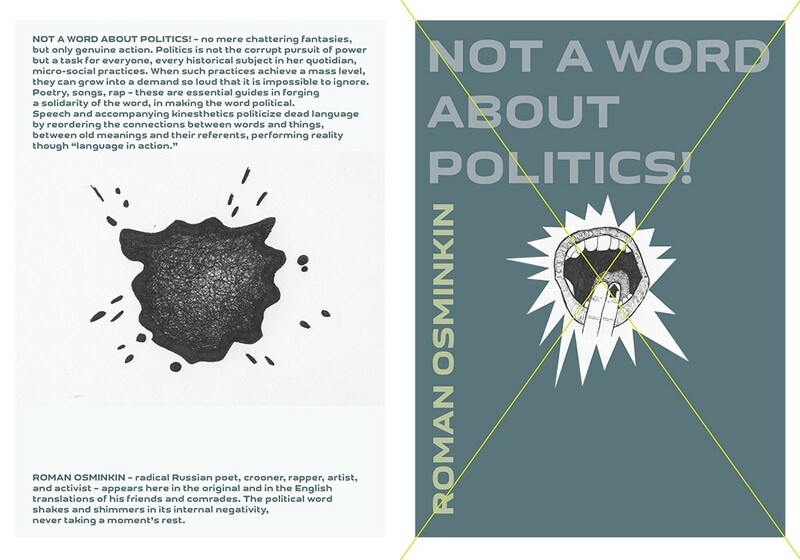 The first English language collection of the work of radical Russian poet, crooner, rapper, artist and activist Roman Osminkin. 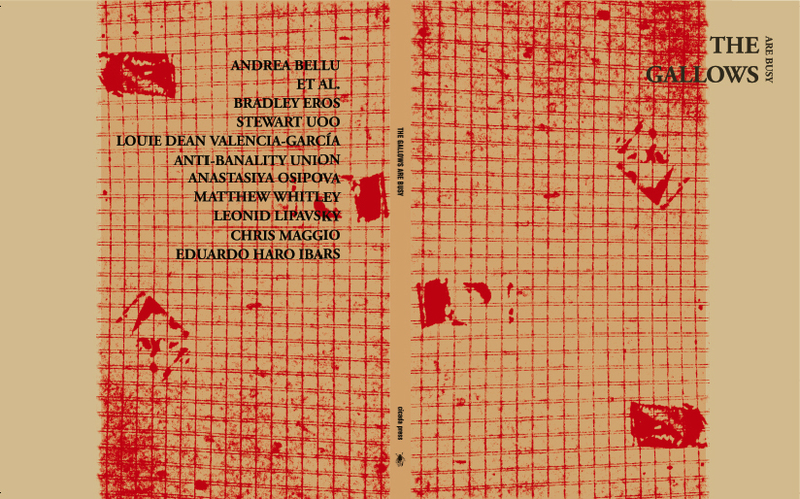 This edition is a double facing (Russian originals included) collaborative work between writers, artists and translators spanning East to West. 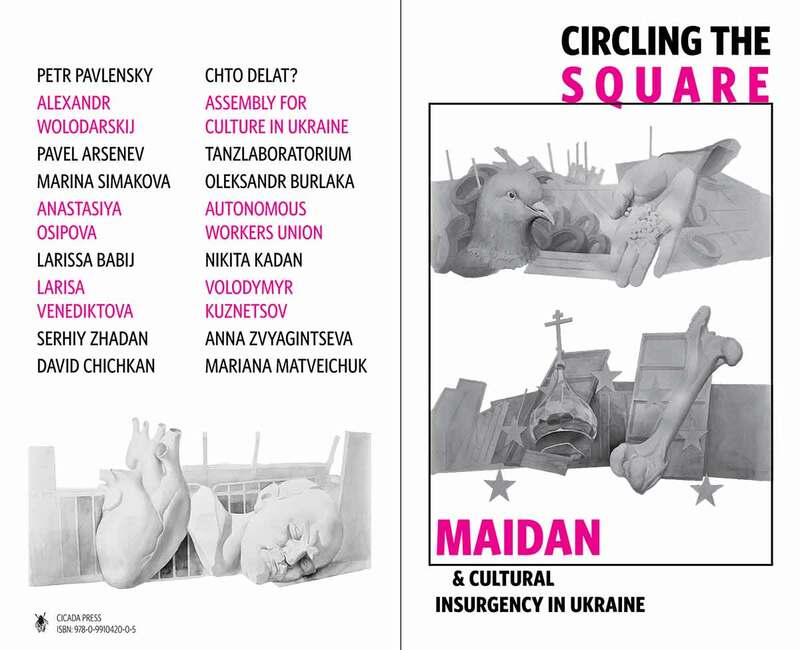 Circling the Square: Maidan & Cultural Insurgency in Ukraine is an over-sized newsprint publication in full color. 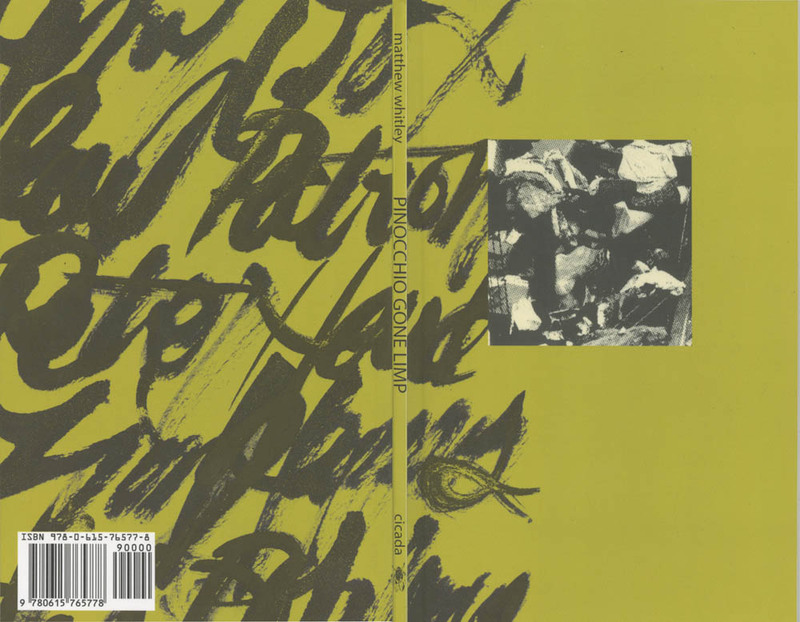 The publication features 18 contributors (Pavel Arsenev, Assembly for Culture in Ukraine, Larissa Babij, Oleksandr Burlaka, David Chichkan, Chto Delat?, Nikita Kadan, Volodymyr Kuznetsov, Mariana Matveichuk, Dimitry Mrachnik of the Autonomous Workers Union, Anastasiya Osipova, Petr Pavlensky, Marina Simakova, TanzLaboratorium Performance Group, Larisa Venediktova, Alexandr Wolodarskij, Serhiy Zhadan, and Anna Zvyagintseva), most appearing in original English translation from Russian and Ukrainian source material, thanks to the work of seven amazing translators (Olivia Crough, Ian Dreiblatt, Ilya Kliger, J. Kates, Ronald Meyer, Dennis Ossipov-Grodsky, and Anastasiya Osipova). The Russian and Ukrainian versions of translated texts are all included in full in an appended index. Circling the Square documents the landscape of the recent uprising and the political climate that engendered it from many perspectives, ranging from an architectural analysis of Maidan, to documentation of an overtly criminal personal performance of solidarity in the Russian Federation, to an account of the occupation and attempted re-organization of the Ministry of Culture by a horizontal assembly of cultural workers. Despite the confusion in much of the world media and international left, these artists, writers and organizations are decidedly radical, negotiating a strange but critical position that recognizes the rising tide of jingoism that accompanies the threat of invasion as well as the opportunities opened up by Yanukovich’s collapse. The result has a decided lyricism that extends beyond a dry headline or inky propaganda. Кроме переводов на английский, в издание включены русские и украинские оригиналы текстов. ette is an artists’ edition of 31 color risograph prints on acid free, Eagle A, 25% cotton paper, including 14 removable dual sided prints. 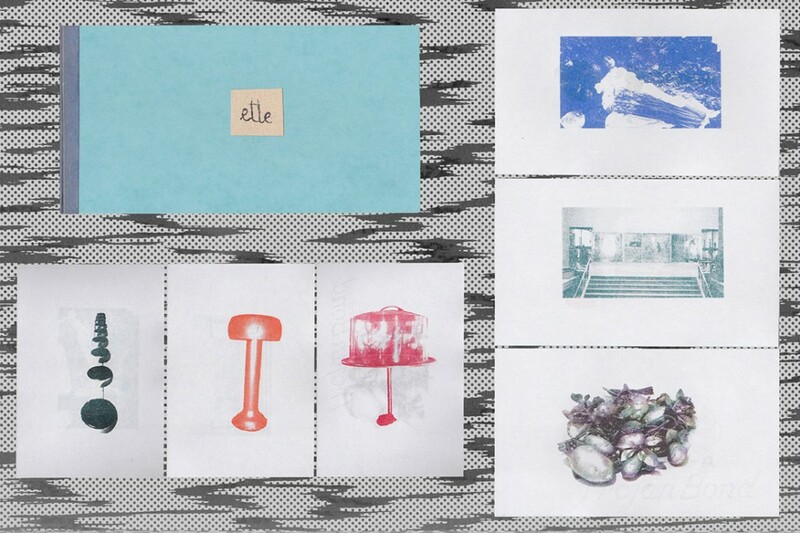 This edition was created to accompany Étalage’s Celebration of the artist Colette at the Sunview Luncheonette. ette features original photographs of the Sunview Luncheonette and historic reprints of Colette’s installations, performances, art works and fashion designs as well as original essays by Leslie Hodgkins and Zac Dempster on Collete Maison Lumiere and a preface by Étalage. 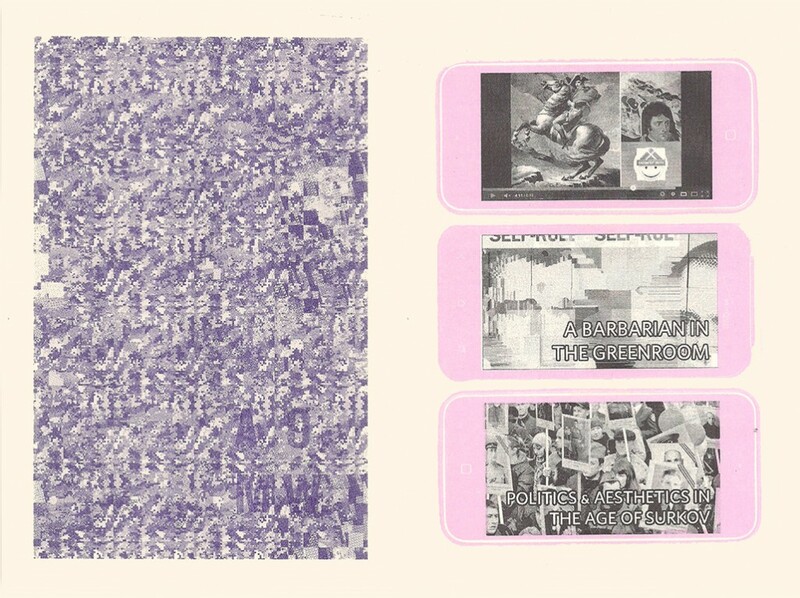 The Gallows Are Busy is a group publication, attempting to follow and describe the trajectory of a glazed and nervous eye, which takes in the textures of things, and all the associations that they give birth to, but fails to understand their function. It gathers several accounts of such suspended, disassociative perception without celebrating, but also without condemning them. Rather, its intention is to consider the broad spectrum of “checking out”: its poetry, its stupidity, its cunning, its rebellion. Van Gogh: Man Suicided by Society (Gallimard) was one of Antonin Artaud’s most celebrated and influential critical and philosophical works. While this text was an unexpected project for us, we’re honored to bring it to another corner of the world, and to help finish the work of Vigen Tadevosyan, which he regretfully was not able to complete in his lifetime. 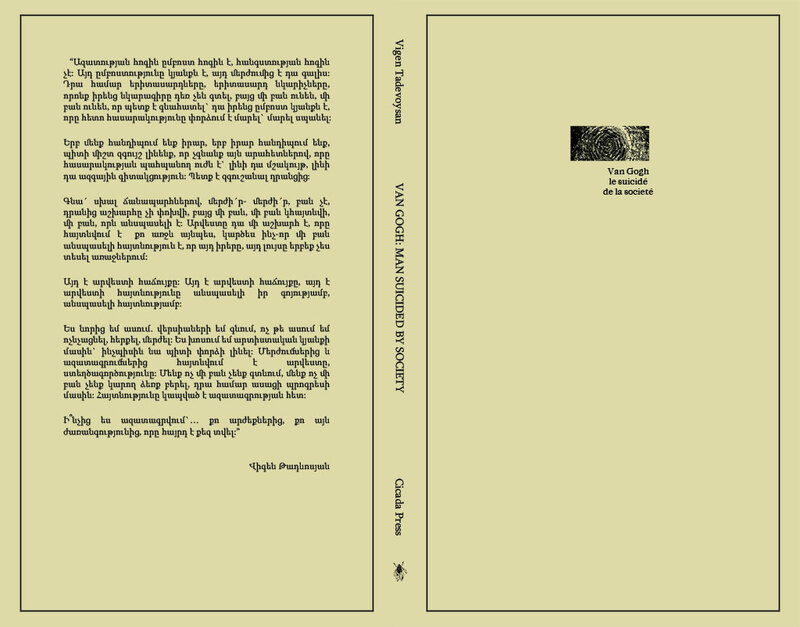 Vigen completed manuscript translations of the work into Armenian before his death and our mutual friend, Harout Simonian, an artist who has represented Armenia in the Venice Biennale, has finished the work, laying out and introducing the piece. For obvious reasons, this title will be available exclusively through Armenian distributors. A book of editions, a series of prints, intended to be rasterized into one massive image, with an accompanying guide for its construction. 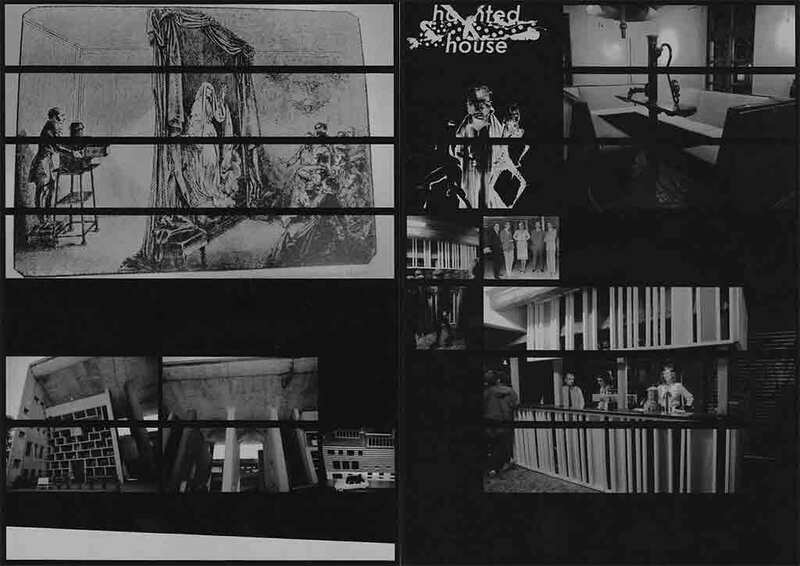 This book accompanied Gallows’ contributors et al.’s installation of the Haunted House itself in Frankfurt.